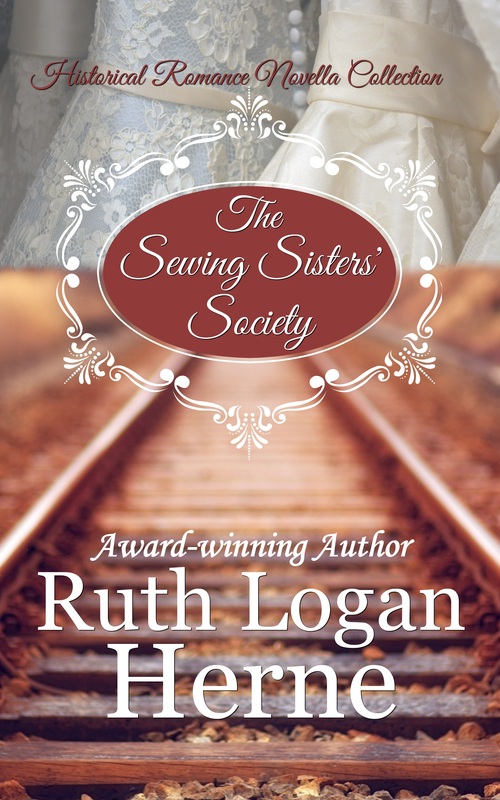 Welcome to the Blog Blitz & Giveaway for The Sewing Sisters’ Society, a collection of historical novellas by Ruth Logan Herne, hosted by JustRead Publicity Tours! Hattie McGillicuddy might not look like your typical matchmaker, but Hattie makes things happen in the little town of Second Chance, South Dakota. With the arrival of the railroad and official statehood, Hattie’s determined to bring brides west, and not just any brides. Brides who need the wide open prairie as much as the prairie- and the prairie men- need them! Three pioneer stories of unlikely love are woven around a little town full of homespun characters that take us back to another place and another time but with the same faith, hope and love we cherish today. 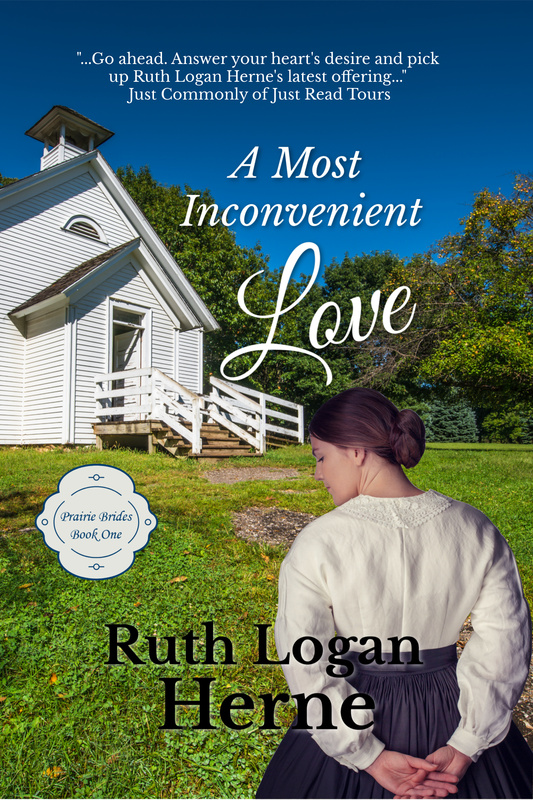 A Most Inconvenient Love – Ruthy’s first full-length historical novel! It was now or never, Macy Evers realized as she faced the dust-covered store-front of Hattie’s Shirt Shop, Fine Goods Available by Order. Tucked north of Main Street in Second Chance, South Dakota, the small porch offered a covered entrance to the shop, but even the cornice work lay thick with dust above her. This town could use a good rain, but if it got one, the unimproved streets would be awash in mud. Dust was better, she decided as she climbed the two steps. Palms damp, she faced the door, half scared to death and Macy hadn’t been afraid of much for a long time, but lying on paper to a potential benefactor— then repeating the sin in person— were reasons enough, she reckoned. And if Hattie McGillicuddy figured out she could barely thread a needle, much less sew men’s shirts, all her careful planning might be for naught. The man’s voice surprised her. She turned too fast and banged his left knee with her worn satchel. He rocked off balance, then pitched down the two narrow steps to the street below. She’d escaped with the money sewn into the hem of her petticoat, the clothes on her back, and the one simple frock she’d snatched from the clothes line before the Allegheny City police came to arrest her. Nellie Bausch glared out the window of the west-bound train, half-wishing she’d stayed in Pittsburgh, just to show up the troop of interfering old biddies. Common sense took hold, though. Money would have ruled the day as it generally did along Ridgewood Avenue, and she would have spent the next two years languishing in prison. She’d been riding high the past three years, her beautiful clothing in demand by all of the wealthiest ladies of Pittsburgh. Blessedly, she’d lived well beneath her means and she’d been smart enough to squirrel money aside. Money she’d earned by the work of her hands, despite the well-staged story cooked up by several of her wealthy clientele. As a plain, dusty, brown town came into view up ahead, she stared out the window, stared hard, and in her mind she didn’t see the drab, dust-strewn buildings rising before her. God had given her a lace-making mother and a clever eye for making things pretty and from what she saw right now, Second Chance, South Dakota could use all the help it could get in the ‘making things pretty’ department. The train groaned to a stop and Nellie lifted her satchel and one small bag. She didn’t have to wait while others disembarked, because she seemed to be the only person making this sleepy, prairie town a final destination. Ann should have stayed right where she was in Pennsylvania. Guilt, fear and sorrow made for somber seatmates as the dark train chugged west across desolate land. Beiges and browns mixed with hints of gray, and the three stretched wide in every direction, occasionally broken by claim shacks looking no bigger than the muskrat lodges in Crawford Pond. Quick tears stung her eyes. She couldn’t think of water. Of her home. Her old home, she corrected herself. Or her life there. Well, He wasn’t her shepherd. He wasn’t any such thing, He wasn’t Lord, God or any other lofty name men of the cloth spewed. He was nothing. Nothing at all. Ann squared her shoulders and lifted her chin in anger because anger was so much better than all those other feelings combined. Anger was manageable, most times. She clung to her satchel and the anger, sure of both. She’d boarded this train at Aunt Jean Ellen’s insistence. Her maiden aunt meant well, but if it wasn’t for Jean Ellen’s friend needing immediate help, Ann would have stayed tucked in the valley, waiting for the sun to rise and then fall each day, an acceptable monotony. She’d go back to that soon enough, once she got her aunt’s friend Hattie on the mend. 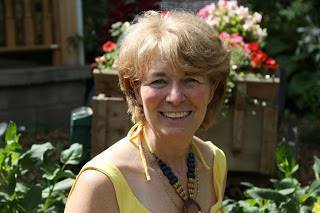 Best-selling, multi-published, award-winning author Ruth Logan Herne is the author of nearly fifty novels and novellas through traditional publishers and her own independent works. She loves God, her family, country, coffee, chocolate and dogs, and wishes possums would leave the cat food on the side porch alone. And yet… they don’t. With over a million books in print, Ruthy is living her dream of touching hearts and souls by writing the kind of books she likes to read. She lives on a pumpkin farm in Western New York where they grow all kinds of cool things for fall from sumptuous squashes and veggies to gorgeous stacking pumpkins. Ruthy’s farm is quickly becoming the place to be every September and October! Enter via the Rafflecopter giveaway below. Giveaway will begin at midnight February 6, 2019 and last through 11:59 pm February 13, 2019. US only. Winners will be notified within 2 weeks of close of the giveaway and given 48 hours to respond or a new winner will be chosen. Hullo Rita! I does, doesn’t it!! 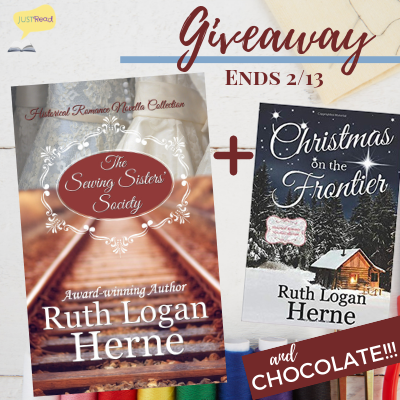 Ruthy’s books and chocolate–what a great combination! These sounds great! Thanks for sharing! Hullo Robin! It does, doesn’t it!! My husband used to call our daughter “Miss McGillicuddy” as a joke. I would love to tell him it’s an actual character name in the book I’m reading. Hullo Dianna! How fun is that!!! on February 11, 2019 at 12:31 am | Reply Patricia B.
I love anthologies and this one has many of the elements I look for in the stories I read. Everyone needs a second chance at some time in their life and it will be interesting to see how these ladies get theirs. Hullo Patricia! Thanks so much for popping by today! You are so right, we all deserve second chances! !